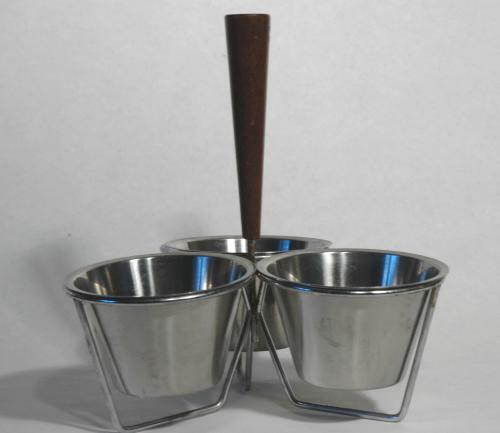 Vintage 18-8 Stainless steel condiment bowl set. Marked Rostfritt Stal Sweden. Ideal for fondue dips and sauces. Condition: Stainless and wood in great condition. Some rust marks to chromed carrying frame.